And he was right to ask me, he’s a busy guy who works in the financial sector and works in an ultra competitive industry. So when he’s relaxing and watching the 2012 Superbowl and sees this commercial from GoDaddy talking about their “Internet Cloud” he asks the guy who he trusts with these things, me. The ad alludes to their offering, and viewers who aren’t trying to catch a glimpse of the Pussycat Dolls featured (or those with a DVR) in the commercial will noticed that they’re offering “Hosting, Websites, Domains, Storage, and Email”. But that’s still not the whole picture. That’s THEIR offering. It can be so much more. So think about an application that you might use today, say accounting software. 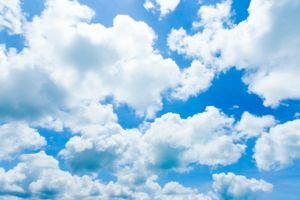 Maybe you use Quickbooks, or Peachtree, or AccountEdge… It doesn’t matter, all of those require a platform to run on (server with Windows for example) and maybe a LAN connection if you want multiple users to connect and work at the same time. The cloud can eliminate those by putting that application on a server on the internet which users can connect to using a standard web browser. Of course there are advantages and disadvantages, that software used to maybe cost $699 upfront and you’d own it forever. Move it to the cloud and it instantly becomes a monthly charge that over time might cost three times what you might have paid for it outright. But now you don’t have to maintain a server, that’s a big advantage. And what happens when that server crashes? You can’t perform accounting work. The natural built in redundancy of the cloud means it’s unlikely that you’ll ever experience downtime. I liken it to the word “Transportation”. How did you get from your home to work this morning? What was the transportation method? You probably took a car but you could have taken the bus, or a train, or a helicopter… They all get you to work… A server based solution hosted in your network closet is a lot like owning and maintaining a car. You have exclusivity to use it as you wish. And it gets the job done very well and very efficiently. If your car breaks down, you’re on the hook for getting it fixed. A hosted solution is a lot like the bus in the transportation scenario. It’s a shared method and while there is flexibility, you are constrained to the bus routes and schedule. If a bus breaks down, you’ll probably never know, the bus company will provide a new one. So which one is right for you? Well that’s up to you to decide. But we’re happy to lend a hand in sorting it all out with you. For a personalized quote or to ask us a question, please contact us or call us at 602.357.8070.